First Sentences: The letter that would change everything arrived on a Tuesday. It was an ordinary morning in mid-April that smelt of clean washing and grass cuttings. My Opinion: I loved this, cannot understand why it has taken me four years since it was published to get round to reading and even now it was only because it was chosen for my book club. An indication of just how much I enjoyed 'The Unlikely Pilgrimage of Harold Fry' is that I have already added 'The Love Song of Queenie Hennessy' which was published in 2014, to my wishlist. 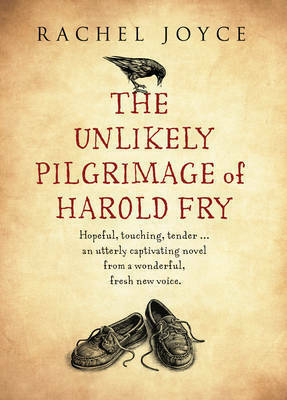 The protagonist Harold Fry walks 627 miles in 87 days to visit a dying friend, from the first time I met him on the printed page I felt I wanted to support his endeavour. It is a novel that once started you do not want to put down. Sad, beautifully moving, yet it will also make you laugh. Highly recommended. Rachel Joyce lives in Gloucestershire with her husband and four children. She has written over 20 original afternoon plays for BBC Radio 4, and major adaptations for both the Classic Series, Woman's Hour and also a TV drama adaptation for BBC 2. 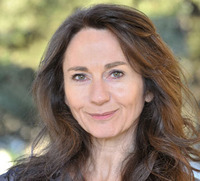 In 2007 she won the Tinniswood Award for best radio play. She moved to writing after a twenty-year career in theatre and television, performing leading roles for the RSC, the Royal National Theatre, The Royal Court, and Cheek by Jowl, winning a Time Out Best Actress award and the Sony Silver.